The nature of reality for the individual relies heavily upon one’s presuppositions that have led over the centuries to controversial philosophical judgments and assumptions as they are related to biblical interpretation. This has lead to all sorts of doctrines that are difficult to sort out. The less aware we are of the underlying presuppositions and the philosophical assumptions that we have, the more these things control our way of thinking and interaction with the Scriptures. We need to be aware of this in order to understand what God wants from us as this is related to being faithful to the Living God in Heaven. Sorting these things out however requires careful effort. 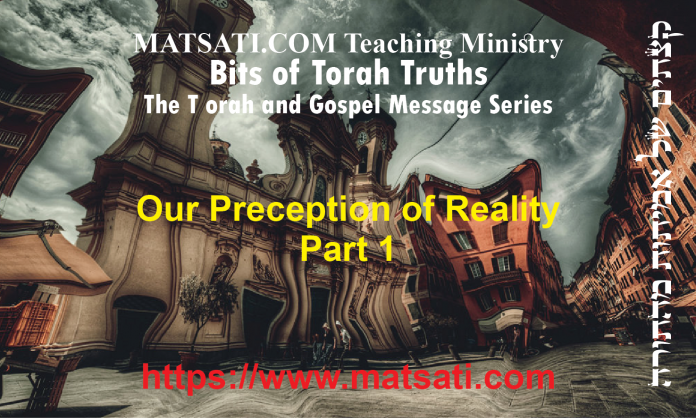 In this Torah Series, as we study the Torah and the Gospel Message, we will begin to encounter the different theological systems that are in place and try to keep an openness to God and His Word in a way that is not limited by the presuppositions we have been taught over the years and centuries.